Fabrication and Application of Optical Micro/Nanofiber devices. Engineering, Medical and Environmental Applications of Optical Fiber Sensors. Optoelectronics. Multi-wavelength Fiber Laser Generations and Tuning. Nanocomposite Materials Based Optical Applications. Nonlinear Optics. 2018 – dnes: Institute of Photonics and Electronics of the AV CR, v. v. i. 2014: Doctorate Degree in Photonics and Fiber Optics, University of Malaya (UM), Malaysia. Thesis on Fabrication Of Microfiber Resonators and Interferometers Structures for Sensor Applications. 2010: Master´s Degree In Optical Fiber Technology, Telecommunications Engineering, University of Malaya (UM), Malaysia. Thesis on Fabrication of a Comb Filter Using Tapered Fiber Based Ring Resonator. A. A. Jasim, M. J. Faruki, M. F. Ismail, H. Ahmad, "Fabrication and Characterization of Microbent Inline Microfiber Interferometer for Compact Temperature and Current Sensing Applications," IEEE Journal of Lightwave Technology , vol. 35, No. 11, pp. 2150-2155, (2017). H. Ahmad, A. 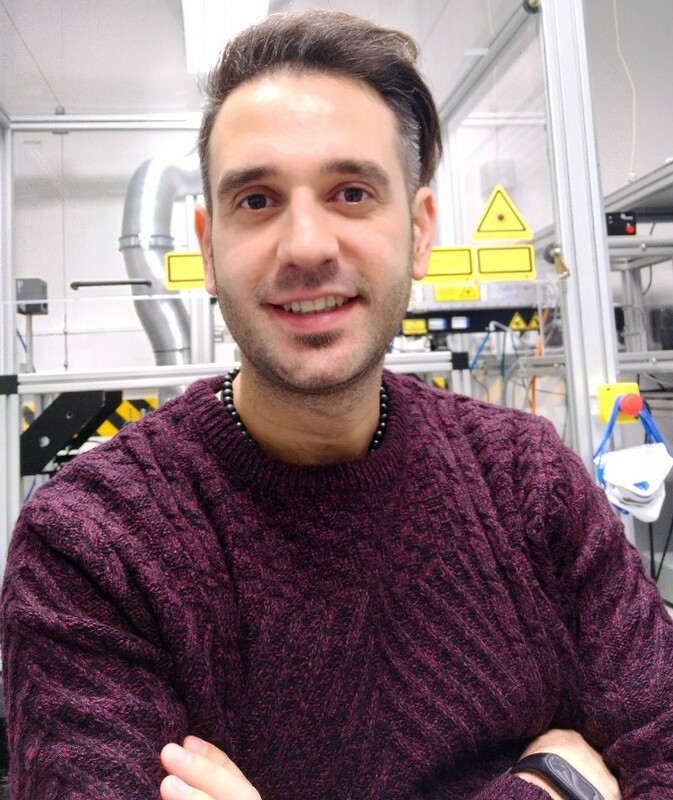 A. Jasim, "Fabrication and Characterization of 2 x 2 Microfiber Coupler for Generating Two Output Stable Multi-Wavelength Fiber Lasers," IEEE Journal of Lightwave Technology , Vol. 35, No. 19, pp. 4227-4233, (2017). A. A. Jasim, and h. Ahmad, “A highly stable and switchable dual-wavelength laser using coupled microfiber Mach-Zehnder interferometer as an optical filter,” Optics & Laser Technology, Vol. 97, pp.12-19, (2017). H. Ahmad and A. A. Jasim, “Stable C-band fiber laser with switchable multi-wavelength output using coupled microfiber Mach-Zehnder interferometer,” Optical Fiber Technology, Vol. 36, pp.105-114, (2017). H. Ahmad, A. A. Jasim, M. J. Faruki, M. S. Rahman, and K. Thambiratnam, “Poly (N-vinylcarbazole)-Polypyrrole/Graphene Oxide Nanocomposites based Microfiber Interferometer for High Stability Temperature Sensor,” Sensors and Actuators A: Physical, Vol. 263, pp. 44–53, 2017. H. Ahmad, S. I. Ooi, M. Z. Samion, A. A. Jasim, and Z. C. Tiu, “Tunable and switchable Brillouin multi-wavelength thulium fluoride fiber laser in S/S+ band region,” Optics Communications, Vol. 397, pp.91-94, (2017). H. Ahmad, S. I. Ooi, M. Z. A. Razak, S. R. Azzuhri, A. A. Jasim, K. Thambiratnam, M. F. Ismail, and M. A. Ismail, “Investigation of ellipticity and pump power in a passively mode-locked fiber laser using the nonlinear polarization rotation technique,” Chinese Optics Letters, Vol. 15, No. 5, pp.051402, (2017). A. A. Jasim, M. Dernaika, S. W. Harun, and H. Ahmad, “A Switchable Figure Eight Erbium-Doped Fiber Laser Based on Inter-Modal Beating By Means of Non-Adiabatic Microfiber,” IEEE Journal of Lightwave Technology, Vol. 33, No. 2, pp. 528 – 534, (2015). O. M. Kharraz, A. B. B. Mohammad, D. I. Forsyth, A. A. Jasim, and H. Ahmad, “Polarization-independent ASE four-wave mixing in a fast semiconductor optical amplifier,” Optics Communications, Vol. 355, pp. 498-503, (2015). A. A. Jasim, N. Hayashi, S. W. Harun, H. Ahmad, R. Penny, Y. Mizuno, and K. Nakamura, “Refractive Index and Strain Sensing Using Inline Mach-Zehnder Interferometer Comprising Perfluorinated Graded-Index Plastic Optical Fiber,” Sensors and Actuators A, Vol. 219, pp. 94-99, (2014). A. Zarei, A. A. Jasim, S. W. Harun, and H. Ahmad, "Investigation of spontaneous Brillouin scattering generation based on non-adiabatic microfibers," Laser Physics Letters, Vol. 11, No. 12, pp. 125105, (2014). A. A. Jasim, A. Z. Zulkifli, M. Z. Muhammad, S. W. Harun, and H. Ahmad, “A new compact micro-ball lens structure at the cleaved tip of microfiber coupler for displacement sensing,” Sensors and Actuators A, Vol. 189, pp. 177– 181, (2013). A.A. Jasim, S.W. Harun M.Z. Muhammad, H. Arof, and H. Ahmad, “Current Sensor Based on Inline Microfiber Mach–Zehnder Interferometer,” Sensors and Actuators A, Vol. 192, pp. 9– 12, (2013). A. A. Jasim, S. W. Harun, H. Arof, and H. Ahmad, “Inline Microfiber Mach–Zehnder Interferometer for High Temperature Sensing,” IEEE Sensors Journal , Vol. 13, No. 2, pp. 626-628, (2013). M.Z. Muhammad, A. A. Jasim, H. Ahmad, H. Arof, and S.W. Harun, “Non-adiabatic silica microfiber for strain and temperature sensors,” Sensors and Actuators A, Vol. 192, pp. 130– 132, (2013). H. Ahmad, K. Thambiratnam, Z. zulkifli Ahmad, A. Lawrence, A. A. Jasim, W. Kunasekaran , S. Musa, N. Gnanasegaran, P. Vasanthan, P. Jayaraman, H. A. Noor Kasim, V. Govindasamy, S. Mohammad Shahrir, and S. W. Harun, “Quantification of Mesenchymal Stem Cell Growth Rates through Secretory and Excretory Biomolecules in Conditioned Media via Fresnel Reflection,” Sensors, Vol. 13, No. 10, pp. 13276-13288, (2013). M. Batumalay, F. Ahmad, A. Lokman, A. A. Jasim, S. W. Harun, and H. Ahmad, “Tapered plastic optical fiber coated with single wall carbon nanotubes polyethylene oxide composite for measurement of uric acid concentration,” Sensor Review, Vol. 34, No. 1, pp. 75-79, (2013). S.W. Harun, A. A. Jasim, H. A. Rahman, M. Z. Muhammad, and H. Ahmad, “Micro-Ball Lensed Fiber Based Glucose Sensor,” IEEE Sensors Journal, Vol. 13. No. 1, PP. 348-350, (2013). A. A. Jasim , S. W. Harun, K. S. Lim, B. M. A. Rahman and H. Ahmad, “Microfiber Mach–Zehnder Interferometer and its application as a current sensor,” IET Optoelectrons, Vol. 6, No. 6, pp. 298–302, (2012). A. A. Jasim , K. S. Lim, M. Z. Muhammad, H. Arof, H. Ahmad, and S. W. Harun, “Transmission characteristic of multi-turn microfiber coil resonator,” Optics and Laser Technology, Vol. 44, No. 6, pp. 1791-1795, (2012). A. A. Jasim, A. Z. Zulkifli, M. Z. Muhammad, H. Ahmad, and S. W. Harun, “Fabrication and Characterization of a 2 × 2 Microfiber Knot Resonator Coupler,” Chinese Physics Letters, Vol. 29, No. 8, pp. 084204, (2012). K. S. Lim, A. A. Jasim, S. S. A. Damanhuri, S. W. Harun, B. M. Azizur Rahman, and H. Ahmad, “Resonance condition of a microfiber knot resonator immersed in liquids,” Applied Optics, Vol. 50, No. 30, pp. 5912-5916, (2011). K. S. Lim, S. S. A. Damanhuri, A. A. Jasim, C. K. Tio, S.W. Harun, and H. Ahmad, “Current Sensor Based on Microfiber Based knot Resonators” Sensors and Actuators A, Vol. 167, pp. 60–62, (2011). S. W. Harun, K. S. Lim, and A. A. Jasim, “ Dual wavelength Erbium-doped fiber laser using a tapered fiber,” Journal of Modern Optics, Vol. 57, No. 21, pp. 2111-2113, (2010). A. A. Jasim, S. W. Harun and H. Ahmad, “Fabrication of Inline Microfiber Mach–Zehnder Interferometer for current sensor,” 5th Multidisciplinary International Student Workshop (MISW2013), Tokyo Institute of Technology, Japan, (2013). A. A. Jasim, A. Z. Zulkifli, M. Z. Muhammad, H. Ahmad, S. W. Harun, “Development of Knot Resonator based on 2 × 2 optical microfiber Coupler,” The 7th Asia-Oceania Top University League on Engineering (AOTULE) Conference, university of Malaya, (2012). M. Z. Muhammad, A. A. Jasim, H. Ahmad and S.W. Harun, “Microfiber Coupler Devices,” IEEE-ICSE2012 Proc., Kuala Lumpur, Malaysia, (2012). S. W. Harun, H. Ahmad A. A. Jasim, and A. Sulaiman, "Microfiber structures and its sensor and laser applications," Photonics Global Conference (PGC), Singapore, (2012).